On Wednesday TBI Class there was interesting topic that we discuss. 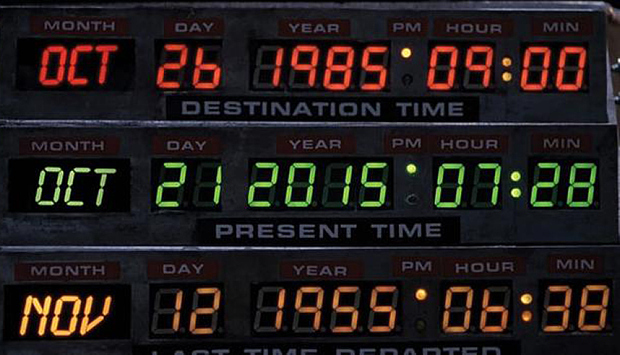 It is about the future, precisely about the world in 2116. Actually, this topic based on text about Samsung survey in terms of what the world will be in 2116. There were some points that mention on the text, like idea about underwater cities (maybe its inspired by Atlantis, the lost underwater world), the 3D printer that can print pizza, so you can get pizza quickly, or the idea about health capsule, its make we won't go to the doctor frequently. Well, when we talk about future we will think dozen of ideas that maybe exist in the future. 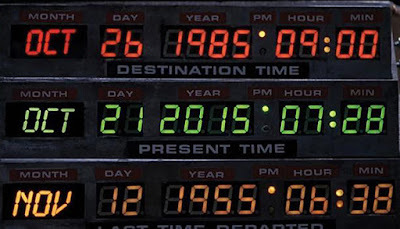 As we know, many movies talk about future, such as Back To The Future (maybe you remember about "Back To The Future Day" in October 21, 2015, many interesting topics there, just googling it), Interstellar, and many more. Most of Science-Fiction movie maybe contain about our planet in the future. For me, when we talk about future, there will be lot of things and topics that we can discuss. 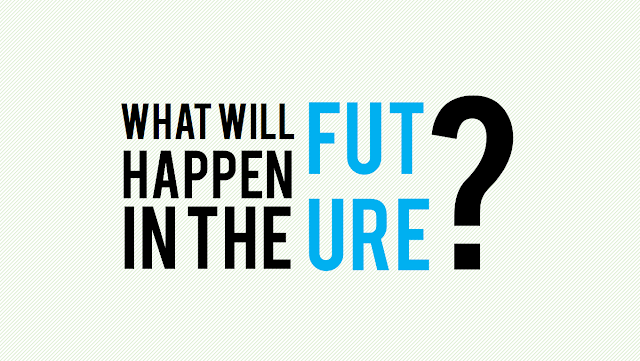 Future is not only about technology, but we can discuss in multidimensional topics. We can talk about the nature in the future, like what will happen if our planet become hotter, the North and South Pole become more melting, cut down and fires our forest, what will happen with our nature in the future? Or maybe the nature will become better, as the awareness about nature become better, people will more care about our environment, about our forests, our seas. Well, I hope people awareness about nature will be better. We also can discuss future in terms of more heavier topics, such politics, the relation between countries etc. Well, the world may become worst when the wars happen more often. The conflict in Middle-East that happening now maybe become worst. One thing that I worried in the future if the World War III happen, maybe that will worst thing that can occur. Or what will happen in our country? Will our country can be developed country? What will happen in 2045, when the demographic bonus occur? Will our country become better or stagnant or worst? In terms of education, will the methods of education will be better? Will the educational level in our country will be better? Or maybe we will more using digital method, like we will not often go to school but rather stay in our home and study by using our gadget. Maybe in the future we will have a robot that can teach us, we don't know. Science and technology maybe the most interesting topics. If we look back to the past, the development of technology was really crazy. Well just in thirty years ago, maybe we not imagine that we will talk to our friends just by using palm-sized object, or in ten or fifteen years ago we still not use touchscreen phone and we amazed on that day when we see touchscreen gadget. Nowadays become crazier, now we use smartwatch, smartglass, well maybe we will use smartclothes someday, clothes that can adapt the temperature and weather condition, or maybe self-dry clothes? 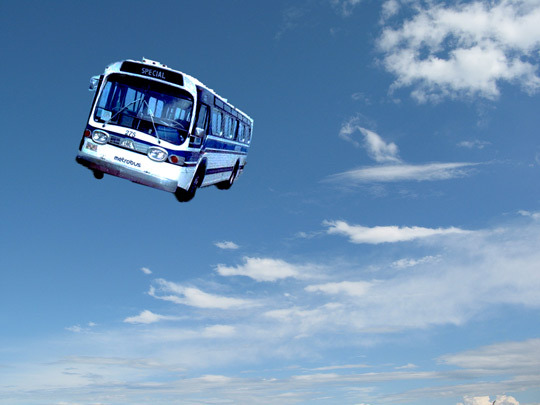 I also think about transportation in the future. Maybe in the future our public transportation is like flying-bus or flying taxi, and our main road will be used by walk, bicycle, and non-motor vehicle. Well, it just a small though. So, when we talk about future, I think dozen of ideas can be produced, I look the future will be better than now. But, one thing that I will hard to believe about future is the time-traveller and time machine, I just think if we can found and build it, will the past change? And what its effect to the present and future life? So I think this is one thing that I can't believe. Well, that's all what I think about the future, maybe you have any ideas and opinion about the future? Let's discuss in comment section. Well, this post still (somehow) related to my previous post about study abroad. In the end of the post, I said that I want to go to University of Southampton or University of Twente, and of couse they have English Requirements. If I not mistaken, the English Requirements is 6.5 for IELTS. Well, I never take an English Test before, so I don't know about my score. I realize that I must take English Test (IELTS or TOEFL-iBT), so I must improve my English and practice for these test. Because of that, I decide to take an English Course to improve my English skill. In the beginning, I still hesitate to take or not to take English Course, because I feel it was expensive. But, my Dad told me that if I want take English Course, just take it, don't overthink about the cost. So, I try to find an English Course that suitable for me. I search through the internet, their websites, from ex-student blog, internet forum, etc., and I get two choice, English First (EF) or The British Institute (TBI). Both of them have their own strenght and characteristics. Both of them had been built since more than 30 years, so they got good experiences. They also have their own methods, system, and also use native-speaker. But the difference between them is TBI use British English and EF use American English. So in this point, I must see my objectives: for what I take English Course? Just for improve my English, take an English Test preparation class, or to study abroad? If it was for study abroad, then where? What English Test that I should take later? So based on these questions, I choose TBI. Why? First, I want to study in U.K., then of course British English will help me a lot more that American English (this is just my opinion, correct me if I'm wrong). Next, I want to take IELTS (maybe on last year or next year), so I think TBI is a good choice, because some of universities in U.K. just approve IELTS score. So then I take TBI. 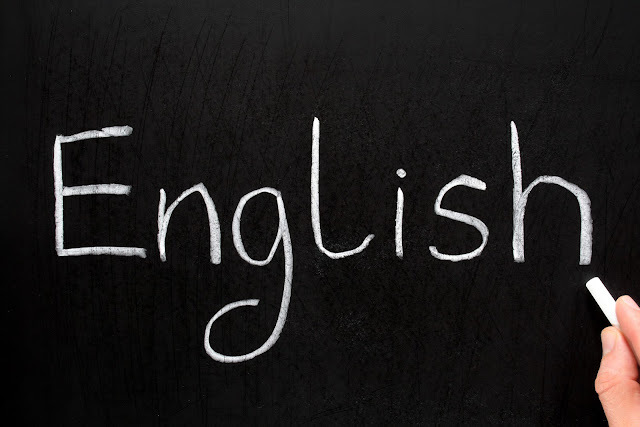 Global English (GE), in this course you will learn English in all four skills (reading, writing, listening, speaking). It is have twelve levels from Elementary, Pre-Intermediate, Intermediate, Upper-Intermediate and Advanced. Conversation, take this course if you want to improve your conversation skill. Business, it is for they who want to improve English in business area. International Exam preparation class, this is preparation class for IELTS, TOEFL, and TOEIC. So, if you choose Global English, then you will take a placement test and interview, it is to determine in what class do you have to start . For placement test, it is forty multiple-choice questions about grammar. For interview, you will be interviewed by TBI teacher, well it is to test your speaking and listening skills. Just prepared for it, and be confident in interview. You can take placement test in weekdays before 14.30 o'clock, and it's free! After placement test, you can get the result, for me, I get intermediate level (that's good for me, same as my prediction :D). 25 non-native: 75 native, this will cost you about Rp 3.3 million. 100% non-native, well it's cost just about Rp 2 million. About the schedule, they offered you three schedule: 1) Monday and Wednesday; 2) Tuesday and Thursday; 3) Wednesday and Friday. All schedule have three options: 1) 16.00 - 17.30; 2) 17.45 - 19.15; 3) 19.30 - 21.00. They said, if you want a class with university student, you can choose the options 2) or 3), because most of them take one of those options. So it's depends to you. Well, those informations I got from TBI Riau, maybe they are slightly differences in other branches, just ask them directly for more information. Some of my friends or maybe some people said that to improve your English, you can get it by doing such as play video games (I suggest you Role-Playing Games type), watch English movies (without subtitle or use English subtitle), listen and sing English song, read articles, books, magazines in English. Well, these methods are all good, but I think you can't really improve your speaking skills (and maybe confidence), but maybe alternatively, you can do speaking practice with your friends. But for me, I need other methods, so I decide to take an English Course. So, it depends to you, to take or not to take English Course, just see your objectives and be diligent, don't waste your time and money if you can't be serious on it, unless you have unlimited time and money :p.
Since a few years ago, in Indonesia, there was a new trend in education, that many people are tend to continue they study abroad. It's of course a good trend for me, because the awareness for higher (and better) education is increase. I think this trend also contributed by LPDP, an institution below Ministry of Finance that give scholarship for they who wants to continue their studies at Postgraduate programs, either in country or abroad. Thousands people can be selected in this program. In this year, LPDP will gives scholarships to 5.000 people to study abroad. So, it be a good news for them who wants to study abroad. 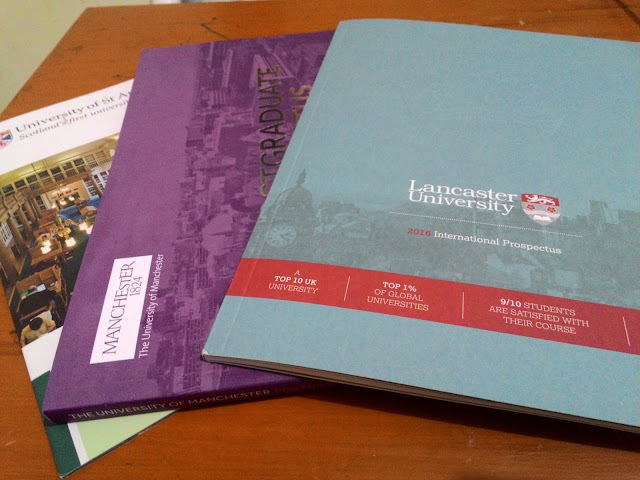 LPDP, can give you scholarships to study in most of top Universities in the world. This condition also be used by some institutions that can help prospective students to apply to university they want. Institutions like IDP, for example, regularly make an University Exhibition or Education Fair in some cities. They brought some universities from English-speaking country, like United Kingdom, United States, New Zealand, Canada, and Australia. 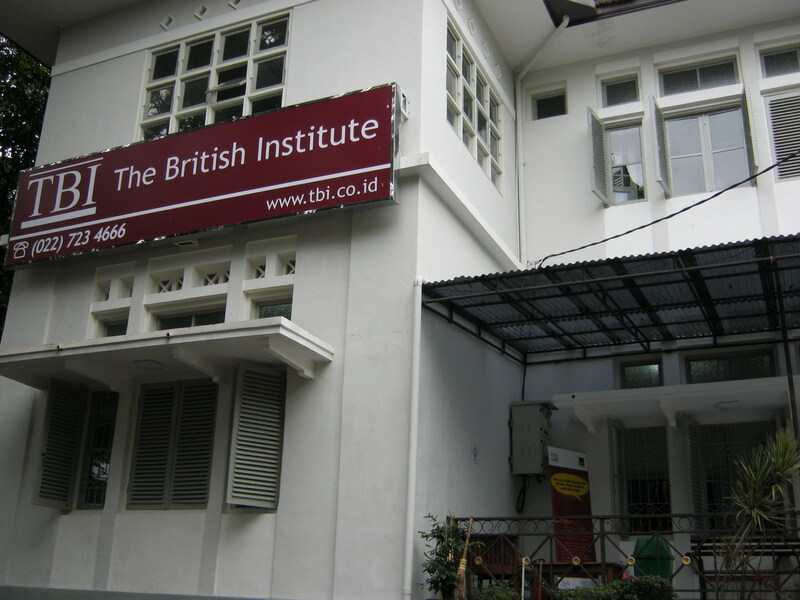 Similarly like IDP, IBEC (Indonesia-Britain Education Centre) also make this exhibition. The objectives of course to give a chance for prospective students to gain information as much as possible from universites. 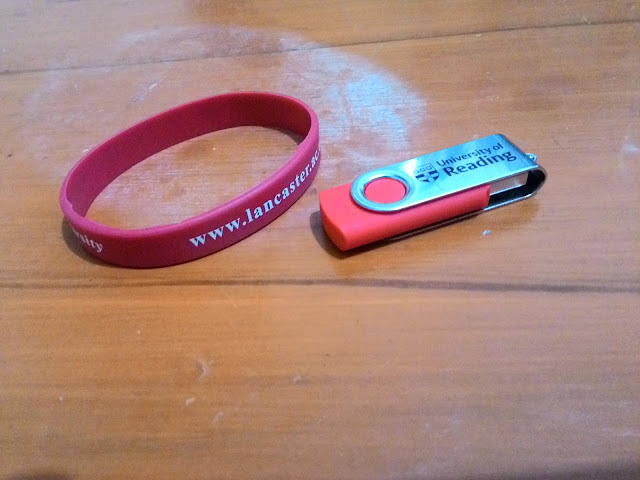 So, it is a good chances for us, and they often give us a free program prospectus (and some merchandises also!). For me, it is really helpful. I can gain some information and also practice my English, because we can talk to native-speaker in each stand. Other than that, sometimes they make seminar about study abroad, how to improve English ability, scholarship and IELTS simulation. So far, I came to two exhibition in Bandung that organize by IDP and IBEC. Well, for you (yes you! Indonesian people like me!) who interested in study abroad, here some information and tips that I get from exhibition, webiste of university, people blogs and experiences, etc. First, make sure you have a reason why you have to study abroad. It's important so you not just try it to follow the trend or just for prestise. GPA requirement. Most of them have minimum GPA requirement by 3.0. But, some universites are have minimum GPA requirement greater or lesser than 3.0 (for example, to apply to University of Edinburgh, you must have GPA more than 3.2, see here for details). You also must attach your diploma and transcripts (must be translated to English, you can get it from your university or ask a sworn translator to translate it). English Requirement. There are some tests that can you take for this requirement, The two of them that usually requested by them is IELTS (International English Language Test System) and TOEFL-iBT (some university maybe still accepted TOEFL-ITP). For IELTS, usually you must have 6.5 score on it, and for TOEFL-iBT usually you must have 85-90 score. To take this test, you must pay about US$ 200 (Rp 2.700.000) for IELTS and US$ 150-US$190 (Rp 2.030.000 - Rp 2.540.000). So you must practice for this test, because the cost is expensive enough (for me :D). Two references. You can obtain references from your lecturer, your thesis supervisor or your boss. For the example, just googling it. Personal statement. It's contain about yourself, motivation, strength, your plan, etc. You can try to googling it. Other requirements. From what I get, that most universites in US, for example, requested GRE (Graduate Record Examinations) for its applicant. Well, that's for entry requirements. So, I think you have to determine what university that you want to apply. Just search it in internet, open their websites, search whether your subject is available or not. Once you find it, see the entry requirements and prepared for it. Then, apply to the university you want. If you are qualify, they will sent you a Letter of Acceptance (LoA) or Letter of Offer (LoO). There were two kind of LoA, conditional and unconditional. Unconditional LoA means that you are fully-qualify. Conditional LoA means you must to complete the requirement(s) in order to qualify. They will sent your LoA for a couple weeks or even couple months, depend of the university. If you qualify, you can proceed to next step, maybe like to pay the cost. If you rich enough, you just have to pay it (for International Students in UK and Europe, mostly it cost about 15.000-20.000 Poundsterling or Euro). But, if you don't have much many to pay it (like me and many people), just find a scholarships. There were many institutions that provide scholarships for you, like LPDP (favorited by Indonesian people), Fullbright, Erasmus Mundus, DAAD (Germany), Chevening (but you must have works experince before), Nuffic Neso (Netherlands), and many more. Just check their websites to see the requirements. Some university also provide scholarships for its student. So there were informations that I get for my "research" about study abroad. For myself, I want to study in University of Southampton or University of Twente (because I found my subject -spesific subject- there). Well, hopefully this article can be useful for you, and good luck for your study! Mathematics, one of subject that maybe many people are afraid of it. Many people said that this thing is really, really difficult! Some people sometimes said like this to they who studied about Mathematics, "Wow! Mathematics! You must be genius!" or like "How could you life with these thing?" and many more. Some people also think that Mathematics is always related to counting something, find a value of x variable, trigonometry, calculus, and many more. Well, as a student of Mathematics, I can say that most of them are right but not absolutely right. Mathematics is not only about counting something, but rather it's about proving something. Further, its teach you about how to think and solve problem analytically, logically, and systematically. Well, maybe your Algebra courses can't useful for you in real-life, but how you solve it, step-by-step, systematically and analytically can be useful for you. My lecturer said that Mathematics is a tools, tools to solve a problem. So you can take the similar logic for your problem by learning mathematics. I think clearly that Mathematics not only about counting. More further, you can find many research tells about what problem that can solved by Mathematics. For example, there was Integer Programming, with this tools you can create a schedule that not only useful but also efficient. A real-life example for this is a paper by that told about scheduling Ecuadorian football league. The objective is to maximazing profit by scheduling football matches. Similar method also applied in Chile. Beside that, there were also some subject like Queue Theory, Inventory Theory (simple example, it is about how to create good inventory system that can maximizing profit for you), Game Theory (see a film about John Nash Jr -who invented this theory- in A Beautiful Mind). Dynamic Programming, Dynamic System, etc.. 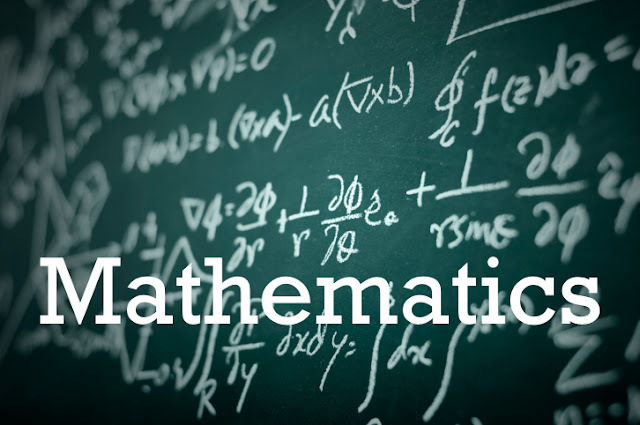 There were also some spesific area in Mathematics like Biological Mathematics, Industrial Mathematics, Financial Mathematics, Mathematics in Healtcare, Mathematics in Public policy and many more. So, I think that's all that can I write for you about Mathematics. Maybe I'll write more about it later. Well, this is my new blog. Yes, new blog! Now I have two blogs, the first one is my seven-years blog, it's about Islam, trip, books, and many more. You can check my first blog here: www.semogabermanfaat.web.id. 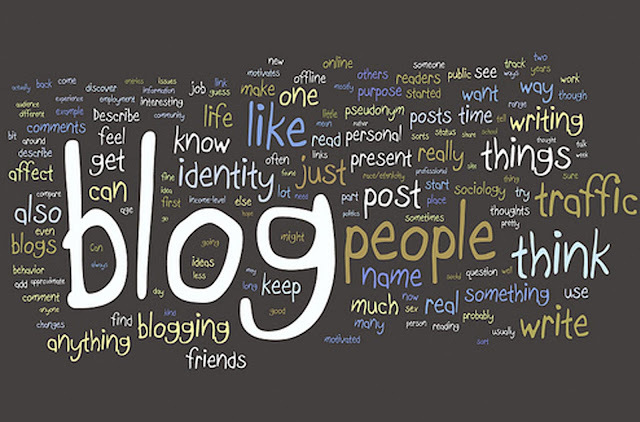 For this new blog, unlike the first blog that use Bahasa Indonesia, my new blog use English. Why English? Well, I want to practice my English, especially for writing. I hope I can improve my English with this method (of course it's just for writing, not for speaking or listening). So, if you find any grammatical error, please tell me so I can fix it. Well, it is for the first post. Maybe later I will change with custom domain (firmanmaulana.my.id maybe), but now I have to continue write some or many post consistently. Firman Maulana. Mempunyai kesukaan dalam hal membaca, menulis, lari, dan sepakbola.